UPmarket was appointed in 2017/18 to undertake a major Revaluation of ZESCO Limited Assets under Generation, Distribution and Transmission Directorates. 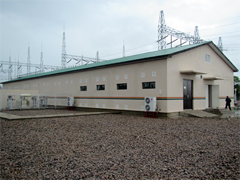 ZESCO is a state-owned power utility company with assets spread across the ten provinces of Zambia. The assignment was successfully undertaken with the core areas of focus being, Market and Insurance Values determination for buildings, condition assessment and preparation of the Fixed Asset Register in compliance with Zambian legislation and International Financial Reporting Standards (IFRS). 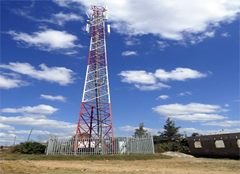 UPmarket has over the years been retained to value the passive telecommunication towers and related infrastructure for IHS Zambia on behalf of Standard Chartered Bank, UK. 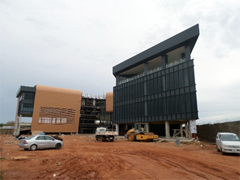 UPmarket is working on various property development projects with the most notable being the office development for the Engineering Institution of Zambia (EIZ) in the Mass Media office node. UPmarket is offering leasing and management services to EIZ for their flagship office complex.